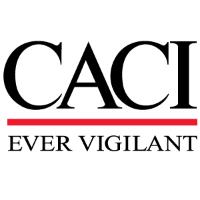 Join CACI as a Senior Business Systems Analyst supporting financial management and contract writing systems that help our Department of Defense customers execute work to support our country. We have been supporting our customers for over 20 years with the implementation of COTS financial management and acquisition systems. We continue to develop and implement exciting and complex solutions to support the evolving needs of our customers. We are looking for an experienced, resourceful Business Systems Analyst with the desire to be a critical member of our team designing creative new solutions for our customers and managing customer relationships. We value team members who strive to produce high quality work through collaboration with team members and customers while making a difference through individual contributions to ensure project success for our team and our customers. Under minimal supervision, you will work as a member of the Functional Implementation Team, working closely with the customer to gather requirements and configure the system to support the implementation of Momentum Acquisitions as a Government Organization’s contract writing system. You will also perform critical system testing to ensure application functionality works correctly and meets the customers' needs. This role requires strong analytical and problem-solving skills and the ability to properly prioritize, multi-task and work collaboratively with our project team. This position is a great opportunity for an experienced BSA who enjoys interacting with people and has a desire to expand their knowledge and take on greater responsibility. Your contributions will directly impact the success of the customers' mission, our team, and ultimately CACI! In return, CACI will provide you with a company that fosters a culture based on integrity, strong ethics, quality work, and professionalism, while supporting your career growth aspirations. Coordinate and conduct customer work sessions to gather and document requirements. Configure Momentum system settings based on customer requirements. Translate business requirements into test scripts; execute tests against developed systems, and document results. Troubleshoot to determine the source of system errors. Find and log system defects using software tools, including steps required to repeat, and track defects to closure. Develop subject matter expertise for assigned components. Provide subject matter expertise in support of technical activities. Train and direct the activities of less senior staff. US Citizen with a current Top Secret or TS/SCI clearance. Bachelor's degree and 7 years of experience using IT systems related to Finance, Accounting and/or Acquisitions. Experience with IT systems functional analysis, requirements design, test development, and test execution. Demonstrated knowledge and experience with software development lifecycle. Experience with Financial Management and/or Acquisition Systems or Business Applications. Experience with CGI Momentum software. Familiarity with configuration of Momentum subsystems, specifically Momentum Acquisitions. Familiarity Federal Acquisition Regulation (FAR) and/or Defense Federal Acquisition Regulation (DFAR) requirements. Self-starter with initiative and aptitude to quickly learn and put new skills to use. Ability to work both independently and with a team to solve problems. Ability to write and execute SQL queries. Ability and initiative to set goals and execute.